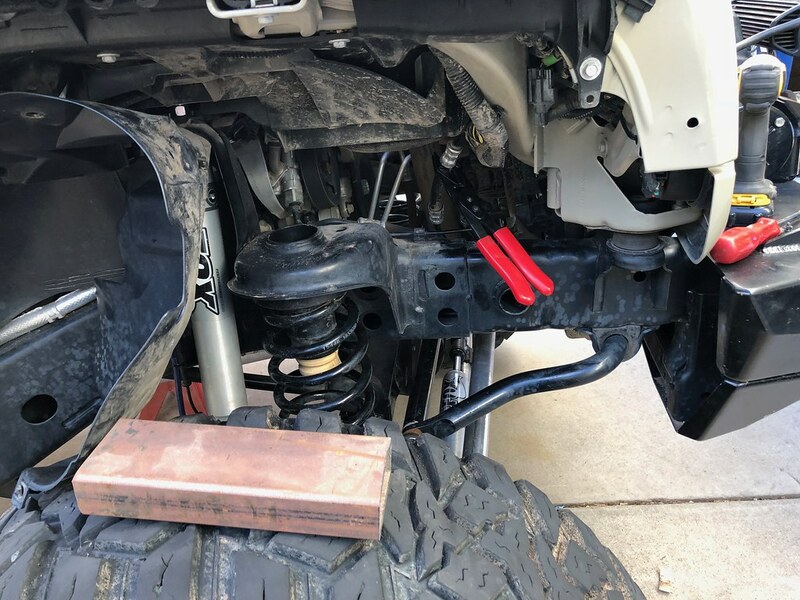 It's pretty rare that I make any decisions on my Jeep without doing a ton of research, but I suppose we are all prone to mistakes every now and then...lol So I purchased a 1 ton steering setup that flipped my drag link up above the knuckle. This makes steering and road handling much better for lifted jeeps, so seemed like a no brainer! Well after it was all installed I went out for a shake down run before Moab and discovered that with a good bounce my drag link now comes in contact with the frame. After some research I should have done beforehand, I realized that unless you are running 3.5 or more of lift it's gonna hit. Most people add more bump stop on the passenger side to make sure nothing hits, but I didn't like the idea of loosing anymore up travel in my suspension. A few people notch their frame to make clearance and that sounded like the most useful option for me. Now, behind the frame rail where the notching needs to happen is a wire harness and your power steering return line. 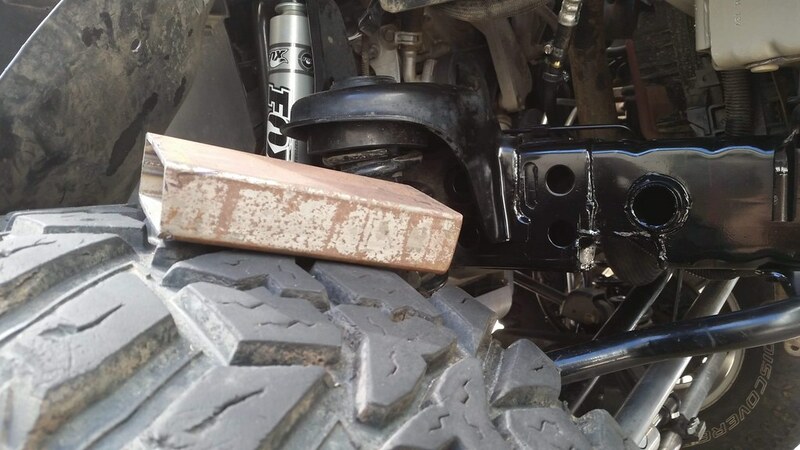 Some people claim that they had to disconnected the wiring harness that runs to the drive side of the Jeep and ends at the ABS sensor, pull it out, and reroute it above the cross member to ensure it's out of the way. I did not have to do that.. I simply pulled some tabs loose and used a bungee cord to hold the harness out of my way during cutting and when I was all done It tucked up nicely in the corner with a few zip ties holding it in place. The power steering return line is impossible to reroute without cutting it apart. It's a formed hard line with a small section of rubber but the hard line is formed around the cross member. Only option I saw was cutting the rubber line up top and using a 3/8 barbed fitting to splice a new rubber line onto it, then cutting the hard line past and below the cross member and running a new rubber line to that with a couple hose clamps. All said and done it came out great and only took me a couple hours. Below you can see where I clamped the line so not to drip anymore fluid than I had to. You can also see the tube that I used to layout my notch and use as a filler once it was all cut. Welding in the modified tube to add strength back into the frame. All said and done with some paint on it.